A barbecue in your backyard, a round of golf or a picnic in the park are not as enjoyable if people are surrounded by defoliated, ailing trees. Arbor Garden's Plant Healthcare Department can prevent or remedy the problem. Since all insects are host specific, so is each pest management plan developed by Arbor Garden. With over 20 years of experience in Colorado's changing climate, Arbor Garden's Plant Healthcare Department is home to Certified Arborists that can help you treat your trees with care. We focus on treating the specific pests, not just repeated "shotgun" sprayings as some companies do--a practice we disdainfully call "spray and drive away." The Integrated Pest Management (IPM) approach means less spraying and more specific injections to control insects the right way. Arbor Garden feels strongly that more pesticides are not the answer; sometimes however, pesticides are a necessary means to an end. Arbor Garden's Plant Healthcare Department can prevent or remedy the problem. Since all insects are host specific, so is each pest management plan developed for your property. Contact Arbor Garden for a personal consultation at 303-722-8820 or visit our contact page for more information. Arbor Garden uses the IPM approach to control insects whenever possible. Integrated Pest Management (IPM) is an effective and environmentally sensitive approach to pest management that relies on a combination of common-sense practices. The IPM programs use current, comprehensive information on the life cycles of pests and their interaction with the Denver environment. This information, in combination with available pest control methods, is used to manage pest damage by the most economical means, and with the least possible hazard to people, property, and the environment. 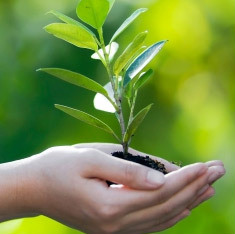 Let Arbor Garden develop a plant healthcare plan specifically for your Denver trees, plants and property. Contact Arbor Garden for a personal consultation at 303-722-8820 or simply Inquire Online Here.